In Wyoming, there are laws in place to protect children from injuries or death in the event of a motor vehicle crash. They are grounded in common sense, and should be understood by anyone who transports children. The laws apply to drivers of non-commercial vehicles that are privately owned, rented or leased. The laws apply equally to residents and non-residents. Children nine and under must be secured in the back seat, unless there is no back seat, or all the restraint systems are being used by other children in the back seat. Child safety seats must be installed according to the instructions of both the seat manufacturer and the manufacturer of the motor vehicle. If a police officer suspects that you are using a child restraint system improperly, or not using one at all, then he or she has probable cause to pull you over and question you. 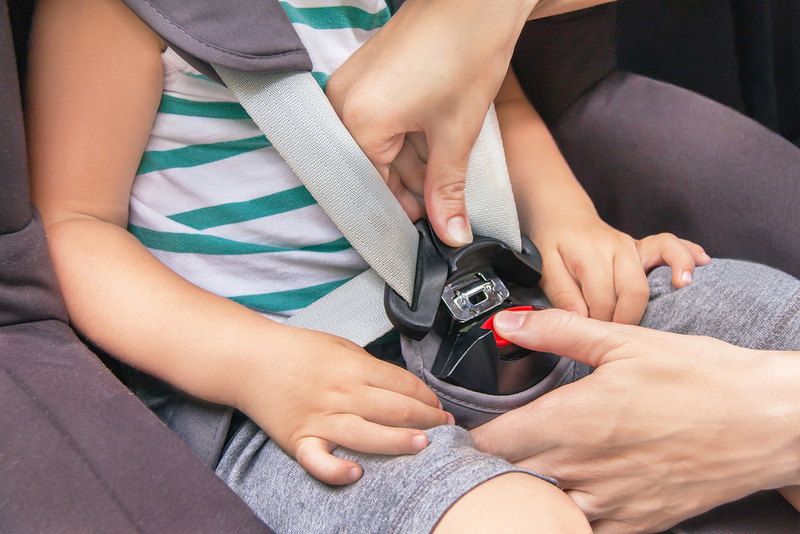 Children nine and under may use the adult safety belt system if it fits properly across the chest, collarbone and hips and will not be a danger to the face, neck or abdomen in the event of a sudden stop or a crash. Children who have a doctor’s letter stating that it would be inadvisable to have them restrained are exempt. Cars made before 1967 and trucks made before 1972 that did not have seat belts as original equipment are exempt. Emergency and law enforcement vehicles are exempt. School and church buses, and any other vehicle that is used for public transportation are exempt. If the driver of the vehicle is rendering aid to the child, or to the child’s parent or guardian, the child does not have to be restrained. If you violate the child seat safety laws in Wyoming, you could be fined $50. Make sure that you use the right restraint system for your child – it could save his or her life. Q: Child Safety - how to disable the passenger front airbag?